She might want to play make believe all summer long, but for occasions that call for something a bit more dressed up than a princess costume, there's Hippototamus. 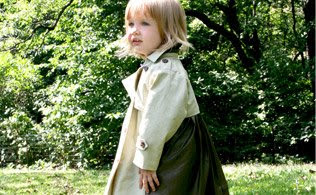 The New York-based company is famous for their refined take on classic children's clothing, and it's easy to see why with this collection. Sweet Mandarin collar dresses. Cozy cotton cardigans. 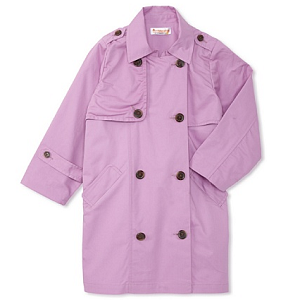 Even chic trench coats. She'll look like a proper little lady in no time flat. MYHABIT is Amazon’s new private fashion sale site offering up to 60% off hand-picked styles from designer and boutique brands, featuring apparel, shoes, jewelry and accessories for men, women and children. New sale events start every day and typically run for 72 hours; product inventory is limited and is available on a first-come-first-serve basis. NOTE: Remember, this is an Amazon deal site, so you can use those Amazon gift cards you earned for free from Swagbucks. For each friend you invite to join MYHABIT, you will receive $20 worth of credit to your account on their first purchase.